Back at the beginning of 2017 Grape Tree approached KTEC Group with their growing business needs and to help find a solution for better labelling. They wanted more flexibility with their food business and to be able alter their labels from batch to batch as buying from an outsourced supplier was becoming more and more tricky. After a conversation with our sales manager the Epson C7500G was suggested. Rob Boyce took the Epson C7500G into Grape Tree for a working demonstration, to show its capabilities and to make sure it was the correct choice. The Epson C7500g was purchased by Grape Tree. 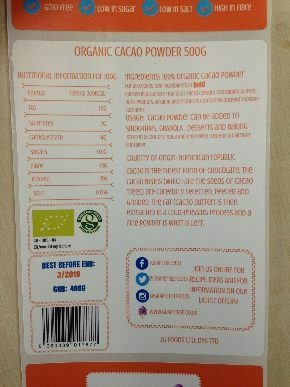 It has been of benefit in many ways, they have many shops around the UK as well as an online store, that’s a lot of different product labels that can be ever changing. So the C7500G gives them the flexibility to print the exact amount of labels needed for each batch even making samples for approval, instead of having to over order and throwing unused labels away. Not only a cost saving but also saving on time. 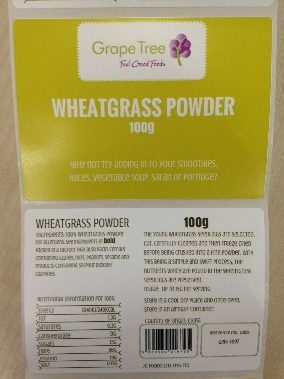 Grape Tree are able to alter the label in moments if any of the ingredients change and without having to purchase plates or send artwork away to be amended each time. Emma at KTEC asked Grape Tree if they had any negatives. They said the Epson pauses to do “head maintenance”, I explain this is an automatic cleaning process to make sure head is clean and makes sure the print stays high quality at all times. It makes sure the print head stays clean longer and is an automatic process which makes the Epson self-sufficient – so the user doesn’t have to worry about the maintenance or print head cleaning or get fingers inky at all. There is also a unique ‘dot substitution’ technology whereby the Epson can detect a blocked nozzle and increase the adjacent nozzles to a larger droplet size to fill in any would-be missing print. The blocked nozzle then almost certainly being cleared by the next automated clean cycle. So the C7500G will protect its print head and the head can have a warranty for life when under the on-site breakdown service – meaning no new print heads costs! So comparing to the competitors machines this can be a saving of anything from £300 – £2,000 per print head. Great eh? 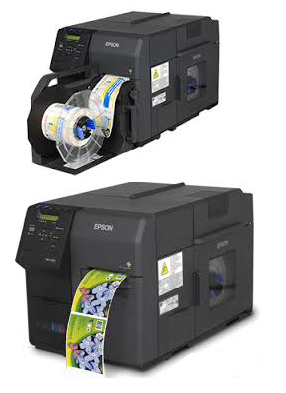 Well the best bit is the C7500G is supplied with 12 months onsite and print head warranty FREE and is a next day service so no waiting or sending the machine away and as a result of Epson being so confident in their printers working correctly at all times. The last question was the generic “ would you recommend us?” Grape Tree said they would recommend the printer and KTEC Group were fast at getting the supplies out on a next day delivery. Happy customer means happy supplier! 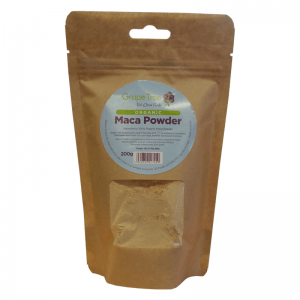 So if you need any health foods please visit – www.grapetree.co.uk all deliveries over £35 are free! Or have a search on the internet and to see if there is a local Grape Tree store near you.